Mercury Amalgam Poisoning - Mercury is known to be one of the most dangerous and toxic substances on the planet. Many people are unaware that “silver” amalgam dental fillings are actually 50% mercury. The American Dental Association (ADA) refuses to publicly state that dental amalgam fillings contain a high level of mercury, and adamantly denies that the mercury escaping from them can cause serious health issues. Yet it has been proven that fillings lose their mercury content. According to Joyal Taylor, DDS, one dental researcher removed fillings that had been in a patient’s mouth for five years. He also removed twenty year old fillings from another patient’s mouth. He tested the percentage of mercury content if both fillings, and found that the five year old fillings had lost one half of their mercury, and the twenty year old fillings had lost all of their mercury. Fillings tend to fracture at the edges and begin to crumble away, and mercury is absorbed by the roots of the teeth as well as the surrounding bone and adjacent gum tissue. Every day, we do things that can increase the release of mercury vapor from amalgam fillings: brush our teeth, use a water pick, chew gum, and consume hot foods and drinks. And removing amalgams without special precautions increases mercury blood levels for a period of time. Such a concentrated release of mercury can severely exacerbate existing neurological conditions. To Remove or Not to Remove: Is There a Question? 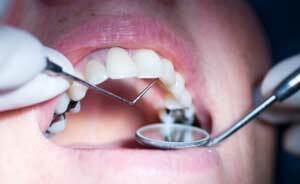 You may be wondering if you should have all of your amalgam fillings replaced immediately. The answer is, that it totally depends upon your situation. It is important to realize that for every person who has their amalgams removed and gets great results, such as lessened fatigue or neurological symptoms, there is another person who sees no change or actually becomes worse. The most important thing to realize is that the fillings cannot be removed by your regular ADA dentist; rather, a special protocol must be followed by a dentist with the proper equipment and training. If you went to your dentist and told him or her that you wanted your amalgams replaced because you suspected that they were causing your health problems and the dentist agreed to remove them, he or she could lose his or her license to practice dentistry. The ADA is very firm in maintaining that amalgams are harmless and they ex-communicate any dentists that maintain otherwise. You can get a list of properly trained biological dentists by clicking on the following web site - www.iaomt.org or by calling the Huggins Diagnostic Center at 1-866-948-4638. Tests that help to diagnose metal and chemical toxicity include blood tests, urine tests, and the analysis of hair, nails or other tissues. The most accurate of these are a chelation challenge test or a hair tissue mineral analysis (or HTMA). A hair mineral analysis is an excellent alternative way of determining what toxic metals are present in the body. In addition, it also measures the levels of essential minerals in the body, such as calcium, magnesium and zinc, and toxic metal and mineral ratios. This test can provide you with much-needed information about mineral deficiencies and imbalances in your body, especially if you're suffering from symptoms of heavy metal or mercury poisoning. Want to Ask a Question about Hair Analysis? Email your questions by clicking here. For more information on an excellent bentonite clay for bathing, please click here. For more info on a pure form of glutathione, please click here. View our Lead Detoxification page. Questions? Email your questions by clicking here. Thank you for visiting our page on Dental Amalgam Mercury Poisoning!